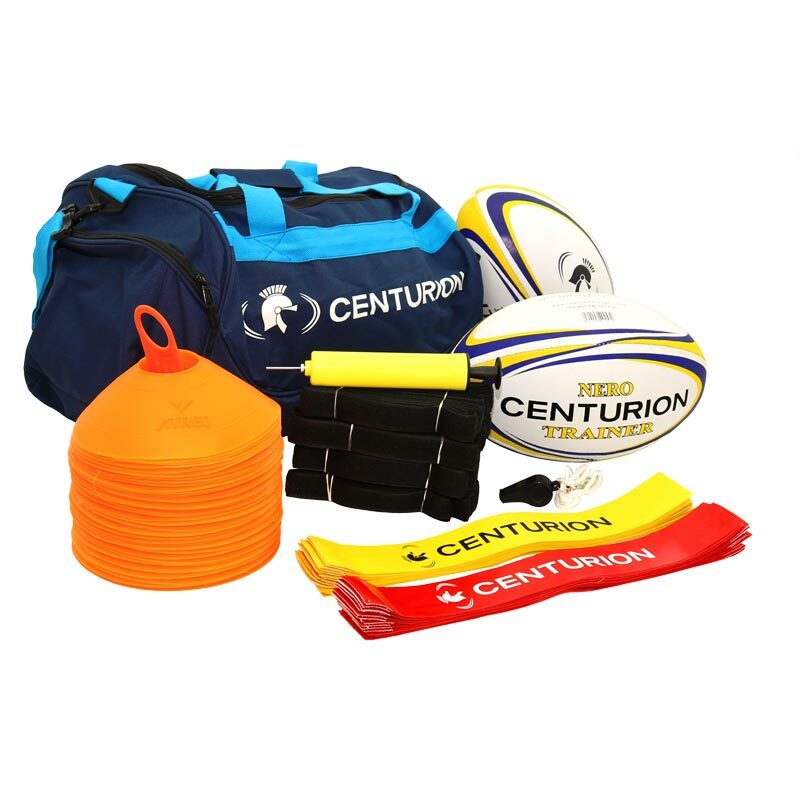 Centurion Adult Tag Rugby Pack. Tag rugby, also know as flag rugby, is a team game which requires each player to wear shorts or belts with detachable patches attached to them. It requires minimal contact and is generally a slower and more skillful game than touch rugby. Adjustable tag belts to fit up to 40" waist. 10 x Red Tag Rugby Belts (20 tags). 10 x Yellow Tag Rugby Belts (20 tags). 50 x Orange space markers. 2 x Nero trainer balls - Size 5. 1 x Carry storage bag.